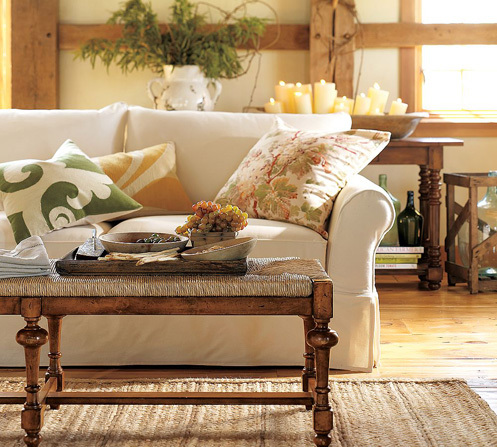 Nice and cozy couch - very practical with the washable removable cover, nice wicker bench used a coffee table, and the rug is nice, too. An easy-going, relaxed set up. This Really very nice couch its Very luxury and conferable i wanna sit that couch and enjoyed with my friends lovely couch.